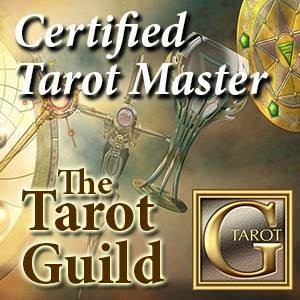 As an online tarot reader my clients are encouraged to leave a testimonial so other users of the site can get a true and honest picture of a reader's ability, style and credibility. I would like to thank everyone who has left me some feedback; I do read it to make sure I am doing the best job I can, so I hope you find it just as useful. Please note I have not corrected any grammar, spelling or punctuation, these comments are exactly as they were left for me. 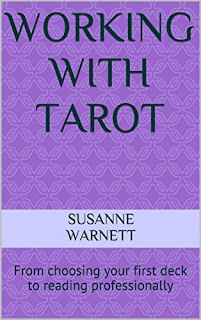 Witch Hazel did a tarot reading for me when I was at a crossroads in my life. I was unsure of where my life was leading me and in particular about my career, which was a vocation. She helped me to consider what I really wanted and needed in my life. She was sympathetic and empathic and you could tell that she really understood my dilemma. Thanks! She is so lovely, this is actually my second reading with WitchHazel, she is so nice and very good advice I would recommend her. Really packed a lot of info into a short time slot which was great. Lots of specific info too! Witch Hazel is lovely. Very clear in her readings. Saw things I did not mention at all. I had stumbled upon her profile last year sometime when I was having a serious crisis. She pushed me to follow my intuition and surprisingly the problem was resolved. Since then she has been my to go person. She brings in lot of clarity to the situation and helps you find the right direction. I strongly recommend her. Witch Hazel was very helpful and compassionate. She has such a lovely soul and picked up on my situation quickly. I look forward to speaking to her again. Great reading! You can tell when they can tap into how you're really feeling, and Witch Hazel can do that. Love that it's a combo of cards and intuition. She listens well to give clear answers to your questions. She's really enjoyable. Thank you so very much for all your help on this matter and I understand thing more now. Yes I will find you on when to let you know what has happened. You had hit on so many things that were so true about my father. She was very accurate and helpful. She got to the root of my problem very quickly and gave great advise on the matter. I will definitely be coming back. Gave me a very in depth reading! She helped a lot! She told it to me straight but was very delicate in how she gave it to me. Sympathized and didn't judge me. Showed me where I could find hope. I would definitely go back. WitchHazel is very wise and thorough in her readings. She has been there for me in good and bad times and always makes me laugh and smile. She knows her cards well and gives sound advice. Thank you. Very caring and very open. Would recommend. Sign up for my news letter here! 2012 - What's It All About?